Welcome home! 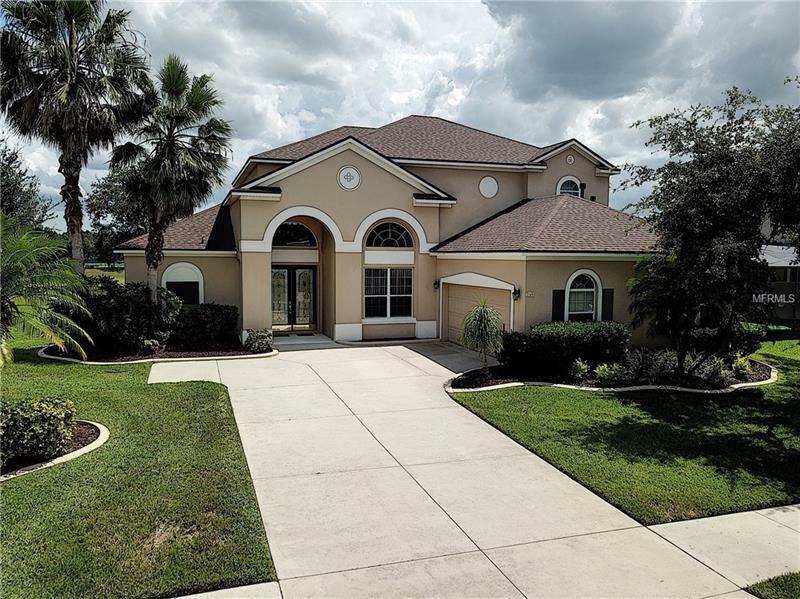 Regency Hills is a quiet, virtual gated community located in the rolling hills of Clermont. Fantastic 4 bed/ 3 bath home situated on a premium lot, with no rear neighbors! This home features an open floor plan, lead glass double door entrance, volume ceilings in the formal dining room and Living Room, office with French doors. The kitchen is well equipped with upgraded appliances and offers an abundance of 42" flat panel wood cabinets; plenty of counter space, break bar, spacious eat-in kitchen nook and is open to the family room. Sprawling best describes the master bedroom suite that spans the entire side of the home; Double door entrance to the master suite, his and her closets and a secluded master bath with french door entrance, custom shower enclosure, separate vanities, soaker tub. Three bedrooms and bath are located on the second floor. Full bath located on the first floor, with door access to the Lanai and fully fenced yard. Regency Hills offers a community pool, tennis courts, basketball court, playground and is conveniently located to major highways, shopping.